Positive liver transplant stories are many, because though a liver transplant is a procedure that is fraught with a number of complications during and after the surgery, the success rate behind the procedure has been growing at a steady pace. The liver transplant complications can be minor or as serious as transplant rejection. The post liver transplant care is important and the healthy habits to be maintained during the liver transplant recovery period must be followed as prescribed. Given below are true examples of people who went for the liver transplant procedure and are now leading perfectly normal lives. If you’re waiting to undergo a transplant, you and your family members can take heart from such liver transplant patient stories. A living donor donated a part of her liver to her brother. The patient who needed the liver transplant was Kevin Stewart, a middle aged man whose health was in excellent condition until he was diagnosed with cirrhosis of the liver. His sister Jo-Ann Hall was the donor in this case. Since Kevin did not have any medical insurance, it was hard for him to get onto a waiting list for a liver in the United States. He tried in most known locations in the U.S. including the Mayo Clinic where he would be charged about $35,000 for an assessment without a promise of being put on the waiting list, and another $30,000 if he wished to get onto the waiting list for a cadaver or deceased donor liver transplant. The actual procedure in the US costs upto $300,000. Kevin’s sister found out about the Apollo Clinic in New Delhi, India, through the internet. The Chief Executive Officer of medical tourism contacted him and forwarded Kevin’s case to the clinic at New Delhi. He was accepted and decided to travel to India to get a liver transplant. He spoke to his sister Jo about this and she was more than willing to donate a part of her liver to him. At a significantly lesser expense of $70,000, the two of them flew to India, had a successful liver transplant surgery, enjoyed the excellent treatment at Apollo Hospital (inclusive of bed and breakfast charges during the recovery period) and flew back to the States. The CEO even had an internet connection installed for them so that they could talk to their family via web cam before the procedure. Jo- Ann Hall and Kevin Stewart were the first North Americans to have a successful liver transplant in India. 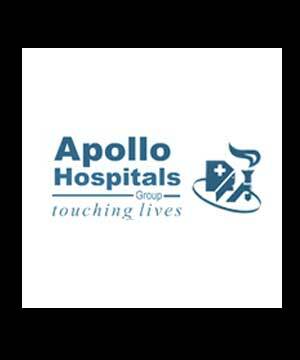 As of June 2011, Apollo Hospitals have completed 102 liver transplantations of which 13 have been done on foreigners. 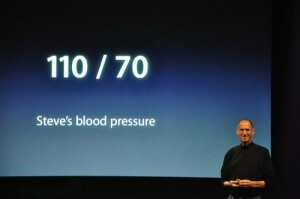 One of the most famous stories that’s come to light in recent years is that of Steve Jobs. According to his doctors, Steve Jobs was suffering from an end stage liver which meant that he was desperately in need of a liver to survive. He went through the same procedure and tests that every patient undergoes and after months of blood tests, cardiograms and CT scans, he finally found a match at the Methodist University Hospital at Memphis. Since Jobs was the most critical patient in his blood group at that time, he was given a call from the transplant unit saying that they had found him a match. In mid April 2009, Steve Jobs underwent liver transplant surgery and the operation was carried out without any complications. He continues his advocacy for organ donation and encourages people to mention that they are organ donors in their driving licenses. Not only do these liver transplant stories represent the emotional strength of the people who go through such procedures, but also the rational choices that they make while facing such stressful situations. This entry was posted in Liver Transplant Surgery and tagged liver transplant patient stories, liver transplant stories, liver transplantation success stories, positive liver transplant stories, successful liver transplant, successful liver transplant stories by Zipheal Editorial Staff. Bookmark the permalink.